Here’s a common montane species you never get tired of. 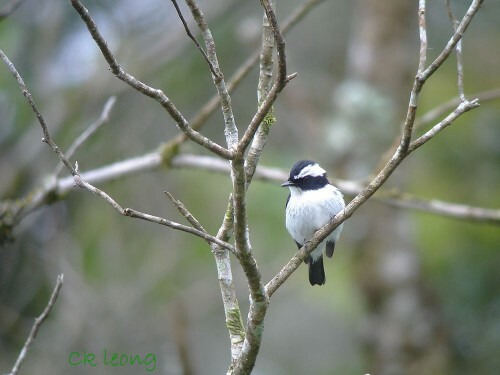 The Little Pied Flycatcher Ficedula westermanni is found in all levels of the forest as well as the edges of clearings. Its behavior is typical of flycatchers while its tendency to perch on the same spot makes it a favourite with photographers. Its call reminds me of a popular mobile phone ringtone. Definitely one of my favourites.